The return of 1,000 soldiers from Germany to the Midlands could boost the region’s economy to the tune of £90 million. The decision to return 16 Signal Regiment and 1 Armoured Division Signal Regiment is part of the drawdown of British forces in the Rhine Garrison, Münster Station and Celle Station, which are being handed back to Germany after the end of the Cold War. 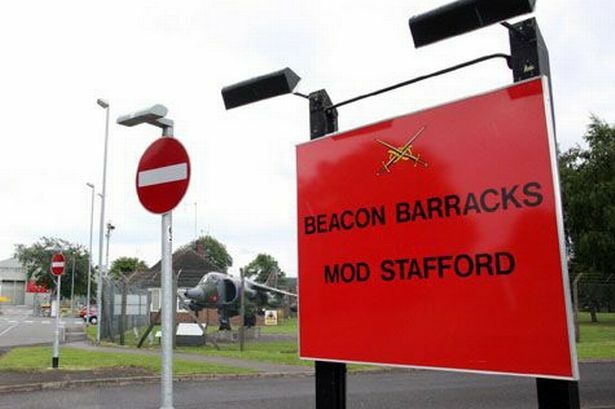 Stafford County Council said the decision, which will see troops move to Beacon Barracks, in Stafford, will bring in an extra £90 million and generate an additional 700 jobs through increased supply chain activity and spending in the area. A £150 million construction project is currently taking place to create homes, technical and recreational facilities for the regiments. The project includes building a brand new school and increasing capacity in others near the site and organising a jobs fair to help the partners of the military personnel who want to work in the local area. County councillor Philip Atkins said: “This move is one of the biggest in Staffordshire’s recent history, and it is important that we provide the right conditions to allow our military personnel and their families to thrive. “We have worked closely with the MOD to ensure we are prepared for the move and have everything in place for the families when they arrive. Paul Dawson, Lend Lease’s project director, added: “This is a key development for Stafford, which, in the past year-and-a-half alone, has prompted significant expansion of the local economy. John Leary, project director, for Lovell, said: “The foundations are now constructed on all 346 family homes and we have begun to hand over homes to the MOD. “We expect the first homes to be occupied by May, and from now onwards, typically 15 homes per week will be finished and handed over.